French artist Invader was really busy on the streets of Paris these days where he just recently made a few of his signature works. Famous for his pixelated artworks inspired by old school video games and made out of mosaicked tiles, Invader decided to do something a bit different this time, bringing to life one of the most recognizable cartoon characters. 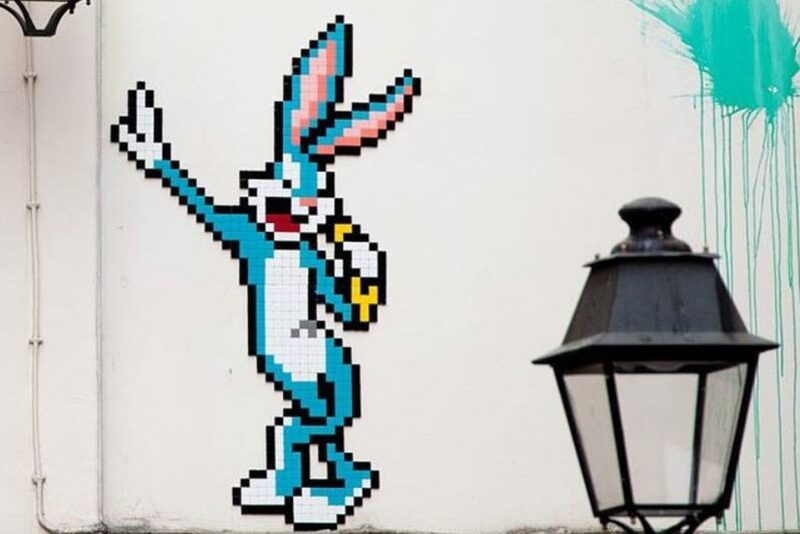 His Bugs Bunny piece in the historic district of Paris couldn’t go unnoticed, and while many were wondering what on earth is a rabbit doing eating a banana, Invader fans were thrilled to discover his latest work. 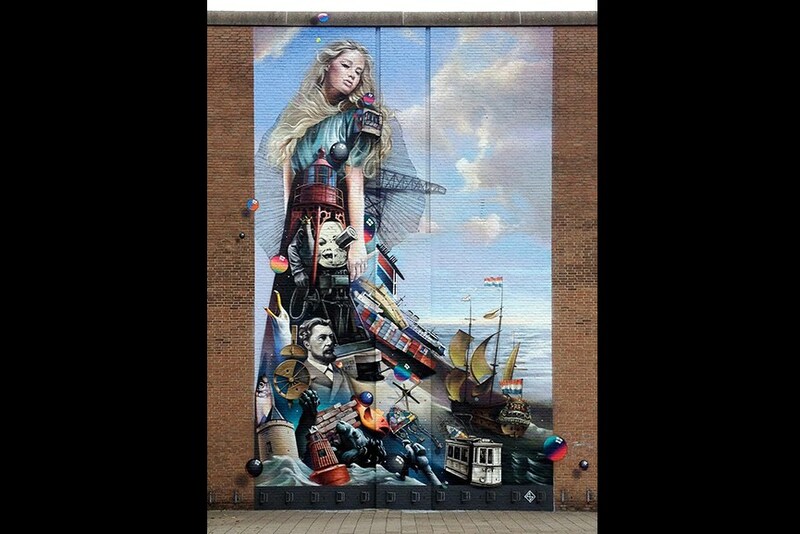 Dutch artist Stefan Thelen, known to street art admirers as Super A finished one of his large-scale pieces in the city of Vlissingen, Netherlands. 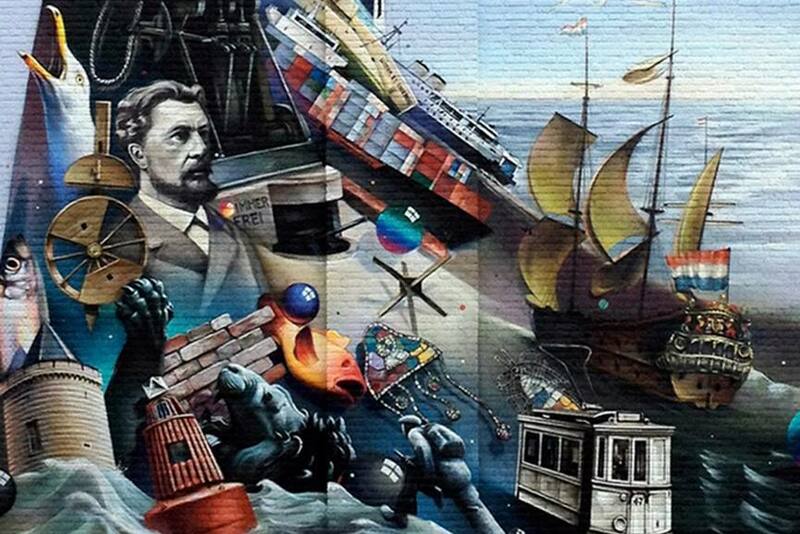 This 12 meter tall mural was commissioned by the city for its 700th birthday. The motifs on the mural are visual representation of some of the most important historic events and figures that marked the long history of the Dutch town. 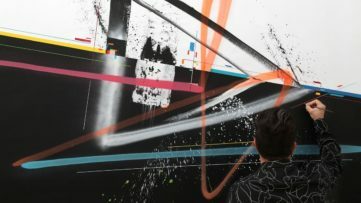 The piece is a celebration of the Vlissingen history and a perfect example of Super A’s unique style which combines painting and graphic design with impressive outcome. 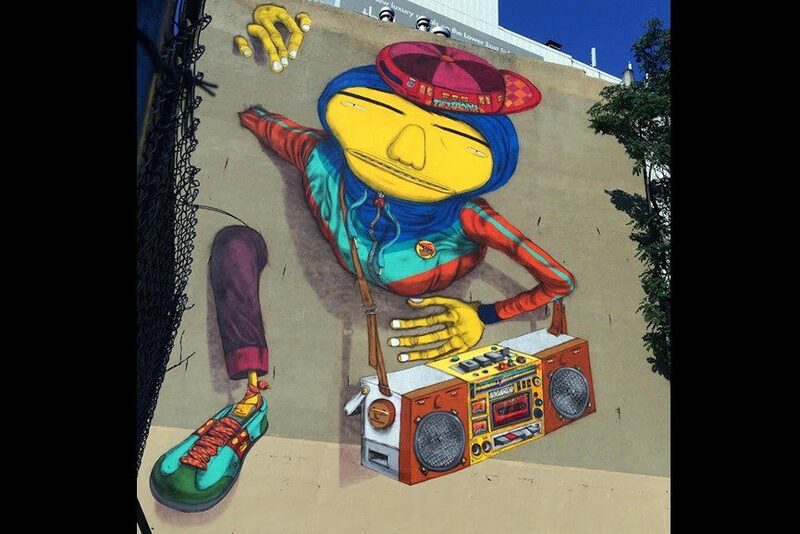 It seems as there isn’t a day, let alone a whole week without Os Gemeos surprising us with one of their murals in New York. 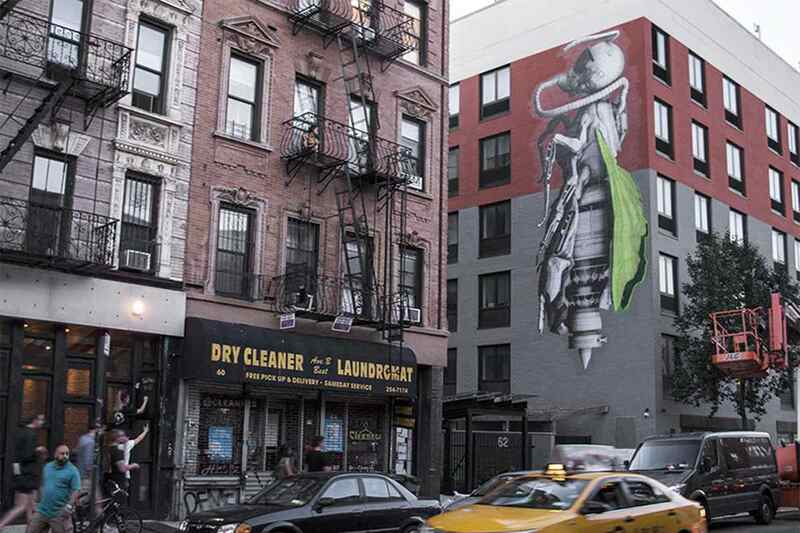 Brazilian duo Os Gemeos is conquering NY with their latest project in Times Square and many new street artworks scattered around the city. This time, they did it without the help of JR, with whom they have been collaborating lately. The latest piece is the largest they have made in the last couple of weeks and it honors the old school NYC B-Boyz and it is a reminder of their street art beginnings inspired by the NY hip hop culture from the eighties. Home is where your heart is is the latest piece by Mr. Woodland, made in his home city of Munich. 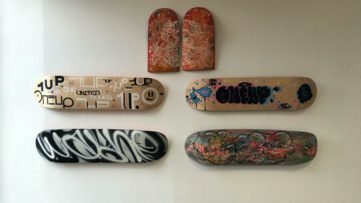 This German street artist has been on the scene since the nineties, successfully bringing together graffiti with graphic design and illustration. He especially enjoys creating the large-scale artworks, depicting lively and intriguing characters caught in dynamic settings and with interesting narratives to pass to the passersby. Another artist was also planting his signature work on the streets of NYC, as the participant of the LoMan – Lower Manhattan Mural Festival. Ludo did a couple of more paste ups while visiting, but this one is definitely the most impressive, and also one of the largest he has done to date. 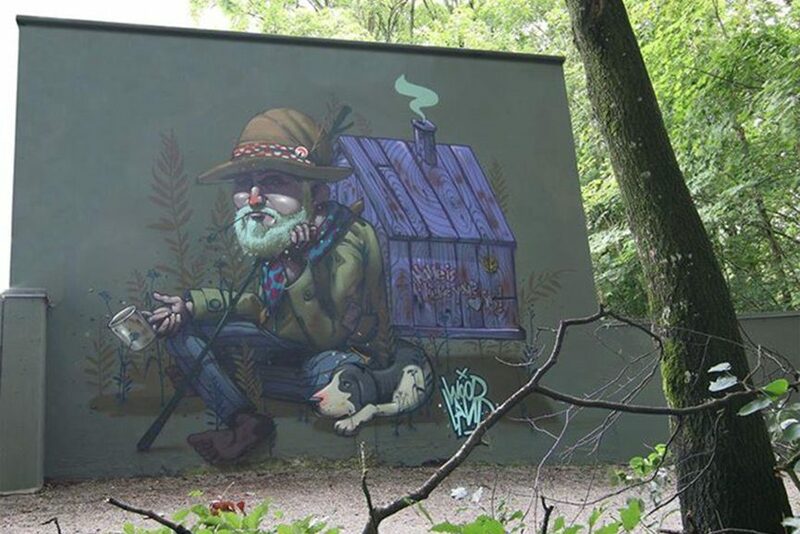 In his recognizable style Ludo created one of his famous hybrid organisms. 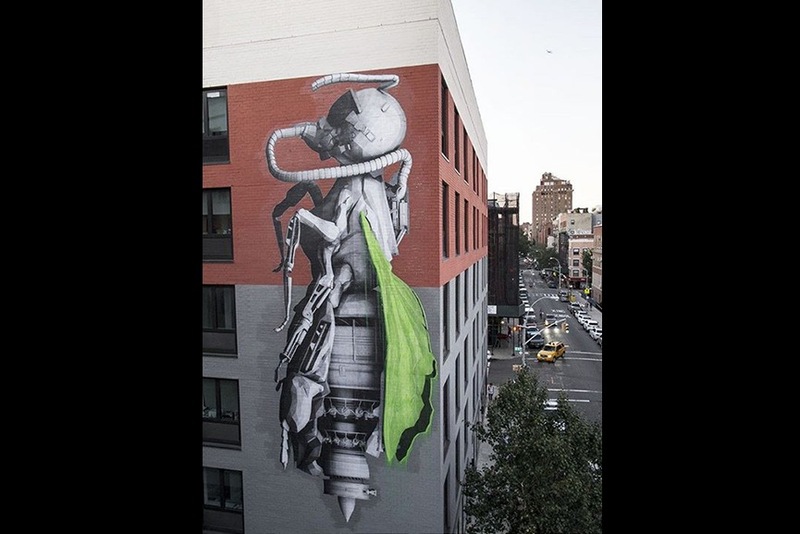 This green-winged insect with mechanical features is a perfect example of the intersection of natural and artificial elements explored in Ludo’s work ever since he started working as a street artist. 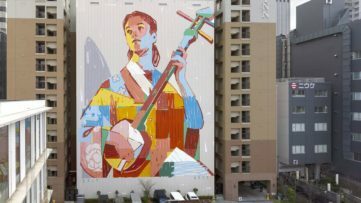 Latest murals from all over the world are just a click away if you create your profile via My Widewalls! It is FREE of charge!